1946 Nuremberg Tribunal: On day 85, Swedish industrialist Birger Dahlerus gives testimony on behalf of his friend, Hermann Goering. Dr. Stahmer: Mr. Dahlerus, would you please tell the Court how you, as a private person and a Swedish citizen, came to work for an understanding between England and Germany? Dahlerus: I knew England very well, since I had lived there for 12 years, and I also knew Germany very well. I had been able to observe the First World War from both sides, as I stayed both in Germany and in England during that time. During a visit to England at the end of June 1939, I traveled around a number of cities, Birmingham, Coventry, Manchester, and London, and I found everywhere an absolute determination that the British would tolerate no further aggressive acts on the part of Germany. On 2 July I met some friends in the Constitutional Club. We discussed the current situation and they gave a pretty clear picture of public opinion in Great Britain. As this summary of public opinion in Great Britain was the basis for my discussions afterward with Goering, I think I should quote it. A. Agreement that Berchtesgaden and Czechoslovakia have shaken confidence, and that immediately after Berchtesgaden, before Czechoslovakia could possibly be in a position to accomplish by co-operation many things already decided upon by Germany. B. Public opinion in Great Britain now extremely bitter. It is resolved: so far and no farther. C. Great Britain from now on has obligations which did not exist at time of Berchtesgaden meeting. Poland and Danzig: An attack on Danzig means war with Poland and Britain. Great Britain will be involved automatically as a consequence of its obligations. Hence, automatically, war with Great Britain. D. Great Britain does not make her strength known; this is not even known to the British public. Point Number 2: Personal observations indicate that England stands firmly behind its declaration. Lord Halifax underestimates England's situation, which is customary with the British; that is, he makes out the state of the strength of Great Britain to be weaker than it actually is. Perhaps in Germany this is not fully realized. Point Number 3: England wants peace, but not peace at any price. The German people are quite acceptable to the British, and there seems to be no good reason for an armed conflict. As before, Germany will certainly be defeated again, and will accomplish far less by war then by peaceful negotiations. England and her friends will likewise have to suffer much; possibly it will mean the end of civilization. Having observed that there was a disinclination in the Third Reich to forward unfavorable reports, I felt both that it was my duty and that it might be of great value if these clear expressions of British opinion were to be transmitted to the highest quarters in Germany. Dr. Stahmer: Mr. Dahlerus, may I interrupt with a question? Were these friends of yours members of the British Parliament? Dahlerus: No, they were people from the business world, and if the Tribunal desires, I can submit a list of the names. Dr. Stahmer: What were their names? Dahlerus: May I save time and submit the list of names to the Tribunal? The President: Their names are not of any great importance, are they, if they were people in the business world? Dahlerus: After having agreed with my friends on the advisability of a trip to Germany, I left for Germany and received an appointment with Goering for 6 July at 4 o'clock in the afternoon, at Karinhall [above]. I told him what I had observed in England and strongly emphasized the necessity of doing everything to avoid the possibility of a war. Goering expressed doubts as to whether these observations were not perhaps an attempt by the English to bluff. He likewise pointed out that he was of the opinion that England wanted to control developments on the Continent. I told him that I did not want him to accept statements of mine, of a neutral citizen, and I suggested to him that a meeting should be arranged where he and some other members of the German Government might have the opportunity of meeting British citizens who had absolute knowledge of conditions. I suggested that such a meeting could well take place in Sweden, possibly on the invitation of the King of Sweden, or the Swedish Government. On 8 July I received from Goering a reply that Hitler had agreed to this plan, and I left for Sweden to ascertain whether it would be possible to make such an arrangement in Sweden. 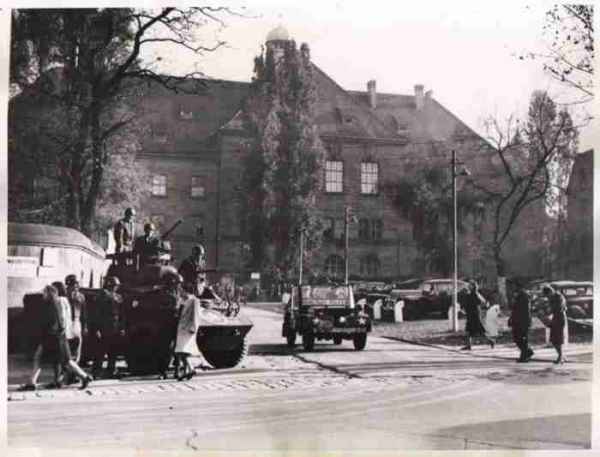 The Swedish Government, for certain reasons, considered it inadvisable for the Swedish King or the Swedish Government, to extend such an invitation, but they had no objections to private persons arranging such a meeting. Count Trola Wachmeester willingly placed his castle, Trola Beelda, at the disposal of such a meeting. I left then on 19 July for London to begin the preparations. The President: Dr. Stahmer, can you not take the witness on, in order to save time, to the actual negotiations? All these preliminaries do not seem to the Tribunal to be very important. Can you not take him on to the actual negotiations? Dr. Stahmer: Yes, he will come directly to the meeting, to the preliminary meeting that took place on 7 August at Soenke Nissen Koog. Witness, will you tell us of the meeting. You were about to state that on 19 July you flew to London and there, on the 20th met Lord Halifax? Dr. Stahmer: I consider this statement very material. 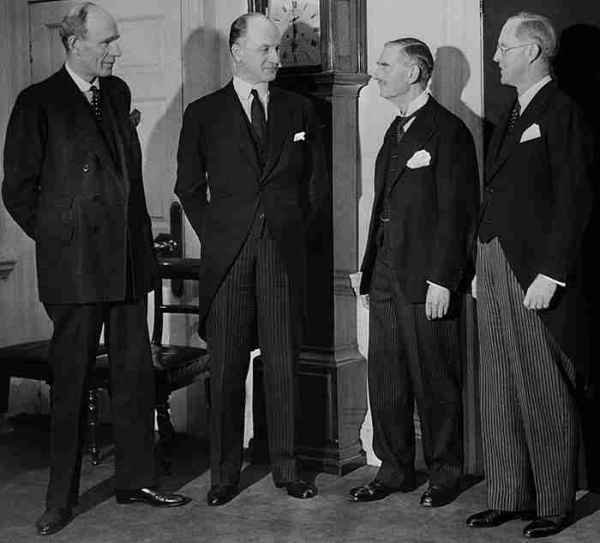 Would you tell the Tribunal of the content of this meeting with Lord Halifax? Dahlerus: I met Lord Halifax on 20 July. He said particularly that he did not want any members of the British Government or Parliament to participate. However, His Majesty's Government would await the results of the meeting with the greatest interest. The meeting took place at Soenke Nissen Koog, in Schleswig Holstein, near the Danish border. The house belongs to my wife. Seven Englishmen, Goering, Bodenschatz, and Dr. Schoettl were present. Dr. Stahmer: On what day was this? Dahlerus: It was on 7 August, and the meeting started at 10 o'clock. The meeting started with Goering's request to the Englishmen to put to him any questions they desired. Then, a long discussion took place on political developments, particularly with reference to relations between Great Britain and Germany. Finally, both sides came to the question of Munich and the events after Munich. The English representatives emphasized that the policy of aggression in Europe would have to cease. Then the question of the Corridor and Danzig was discussed. The Englishmen made it perfectly clear that if Germany were to try with force to occupy any foreign territory, the British Empire, in accordance with its obligations to Poland, would stand at the side of Poland. Goering indicated, on his word of honor as a statesman and a soldier, that although he had the control and command of the strongest air force in the world and might be tempted to lead this air force into battle, he would do everything in his power to prevent a war. The result of the meeting was that all present agreed on the fact that it would be of the greatest value if a meeting could be arranged as soon as possible by representatives of England and Germany. The conference ended late at night, but next morning the English delegates suggested that such a conference should be extended to include four nations, Great Britain, France, Italy, and Germany. I went to Sylt, where Goering was staying, and he was prepared to consent, in the name of Germany, to this modified proposal. Dr. Stahmer: Did English Members of Parliament participate in this meeting? Dahlerus: No, English businessmen only. Dr. Stahmer: Was a full report on this visit given to Lord Halifax? Dahlerus: The English participants left Germany early on 9 August and immediately on their return submitted a report to the Foreign Office. Dr. Stahmer: Did this meeting that was planned then materialize, or how did the matter further develop? Dahlerus: I received a confirmation from Goering personally that Hitler agreed to such a conference. The matter was then discussed in London, and on 19 August, a request came to me to go to Paris, evidently to receive a reply from the British side. 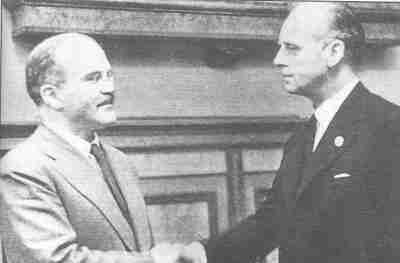 Before I left, on 21 August, I was informed that a commercial agreement had been concluded between Russia and Germany. On the following day this was extended to an agreement covering other political questions. On 23 August I was requested by Goering, who telephoned me in the morning at 10:30 to come to Berlin, if possible, at once. Dr. Stahmer: Did he, during this conversation, point out the gravity of the situation? Dahlerus: Yes. Goering stated that the situation had in the meantime become very serious. Dr. Stahmer: When did you meet Goering then? Dahlerus: I arrived in Berlin on the 24th and saw Goering at 2 o'clock in the afternoon. Dr. Stahmer: What was the subject of your discussion? Dahlerus: He told me that the situation had become very serious owing to the fact that no agreement had been reached between Poland and Germany. He asked me whether I could not go to London and explain the situation there. Dr. Stahmer: Were you to point out there in particular that Germany was prepared to come to an understanding with England? Dahlerus: Yes. Goering stated that Germany wanted to come to an understanding with England. Dr. Stahmer: Then when did you leave for London? Dahlerus: The following morning, on the 25th, a Friday. Dr. Stahmer: Did this trip take place with Hitler's agreement? Dahlerus: That I cannot say. Dr. Stahmer: With whom then did you have a discussion in London on the evening of the 25th? Dahlerus: The important meeting took place late in the afternoon at 6:30 with Lord Halifax. Dr. Stahmer: What did Halifax tell you on this occasion? Dahlerus: He informed me that on the same day Henderson had spoken with Hitler, and that Henderson was expected in London on Saturday, the 26th. He expressed the hope then that now the official channels were open an agreement might really become possible. He thanked me for my efforts, and assured me that he did not think my services would be required any longer. Dr. Stahmer: Did you on the same evening have a telephone conversation with Goering? Dr. Stahmer: What was discussed? Dahlerus: At 8 o'clock in the evening I tried to reach him on the telephone, but only after I had obtained help from the Foreign Office was I able to establish the connection. Goering revealed to me then that ihe situation had become extremely serious and asked me to do everything in my power to arrange a conference between representatives of England and Germany. Dr. Stahmer: Did you inform Lord Halifax of this conversation? Dahlerus: Yes. Mr. Roberts of the Foreign Office received the exact wording of our conversation, and before midnight Lord Halifax had the report in his hands. Dr. Stahmer: Did you then on the next morning--that is on Saturday, 26 August--have another conversation with Lord Halifax? What was the nature of that conversation? Dahlerus: I met Lord Halifax on Saturday, the 26th at 11 o'clock. I told him that I had learned that the German Government was trying to bring about a decision with all haste. And I stressed the importance of such an attempt in order to make it clear to him that in such a serious situation it was necessary to proceed with greatest sense of responsibility and care. I asked him, to emphasize to the German Government that the British Government wanted an understanding. Dr. Stahmer: Did anyone state that Goering was the only man on the German side who could prevent war? Dahlerus: Well, I personally had the impression that Goering was the member of the German Government who was most probably working for peace. I had this impression from the conversations that I had with him. Dr. Stahmer: What suggestion did you make then to Lord Halifax? Dahlerus: I suggested to Lord Halifax that he should write a letter to Goering. I would go at once to Berlin and deliver it to him personally. Dr. Stahmer: Was your suggestion taken? Dahlerus: Yes, Lord Halifax conferred with Chamberlain, and afterwards wrote an excellent letter in which he indicated in very clear and distinct words the desire of his Majesty's Government to bring about a peaceful settlement. Dr. Stahmer: Did you then fly back to Berlin with this letter? Dahlerus: Yes. I arrived in Berlin in the evening, and met Goering at about 10 o'clock that evening. Dr. Stahmer: Describe to the Tribunal the purport of this conversation that you had as a consequence of your talk with Halifax. Dahlerus: I met Goering in his train which was just on the way to headquarters. I told him how matters looked in London and emphasized that there was no doubt that, if the German Government proceeded against Danzig, it would immediately be at war with England, but that I was convinced that the German Government was prepared to do everything in its power to avert the crisis. After I had said this to him, I handed him the letter. He tore it open, and after having read it, he placed it before me and asked me to translate it exactly, because it was of greatest importance that the contents should be understood correctly. He sent for his adjutant to come immediately, but the train stopped at the next station, and he declared that in his opinion Hitler must be informed immediately of the contents of this letter. I followed him in a car to Berlin, and exactly at 12 o'clock, midnight, we arrived at the Reich Chancellery. Goering went in immediately to talk with Hitler, and I went to my hotel. Dr. Stahmer: That was then on 27 August, in the night, was it not, or early in the morning on 27 August? Dr. Stahmer: Did you then have a further conversation with Hitler? Dahlerus: I was visited by two officers at a quarter past midnight who requested me to go with them immediately to Hitler. I was received by him immediately upon my arrival. He was alone with Goering. Dr. Stahmer: Will you describe this conversation somewhat more exactly in detail. Dahlerus: Hitler began, in his usual way to describe German policy to me at length. That lasted about 20 minutes, and I thought that my visit would not prove useful. When he inveighed against the English and England, I interrupted him and stated that I had worked in Great Britain, as a workman, as an engineer, and as a manager of industrial enterprises, that I knew the English people well, and that I could not agree with his statements. A long discussion resulted. He asked many questions about England and the English people. Thereafter, he began to explain to me how well equipped the German fighting forces were. Then he seemed very excited, walked up and down the room, and in the end got himself into a very agitated condition and told me that, if it came to a war, he would build U-boats, U-boats, and more U-boats. He seemed really to speak as though he was not aware that there was still anybody in the room. After a while he shouted that he would build airplanes, airplanes, and still more airplanes, and that he would win the war. Then he calmed down again and talked again about England and said, "Herr Dahlerus, tell me please, why I have not been able to arrive at an agreement with the British Government. You seem really to know England so well. Perhaps you can solve the riddle for me?" I hesitated at first, but then I told him that, with my intimate knowledge of the English people, I was personally of the opinion that their lack of confidence in him and his Government was the reason. The conversation continued. He gave me a long report on his discussions on Friday with Henderson, and finally he asked me to go to London at once and explain his viewpoint. I refused, naturally, and told him that I could not go there as an emissary of Germany. If, however, the British Government expressed the wish that I should come, I would, of course, be prepared to do this. The condition was such, however, that I must know definitely what conditions and proposals he had to make. We spent an hour and a half, during which he explained the various points in greater detail than he had been able to do with Henderson. Dr. Stahmer: What proposals were you specifically to make? Dahlerus: In condensed form, they were as follows: (1) Germany wanted an agreement or an alliance with England. (2) England was to help Germany in the annexation of Danzig and the Corridor. (3) Germany gave the assurance that it would guarantee Poland's boundaries. (4) An agreement should be reached on Germany's colonies. (5) Adequate guarantees should be given for the treatment of German minorities. (6) Germany gave its word to defend the British Empire with the German Wehrmacht wherever it should be attacked. Dr. Stahmer: Mr. Dahlerus, regarding Point 2, was not Poland assured of a free harbor in Danzig? You may want to add something as to what assurance Poland was to receive. That was Point 2? Dahlerus: Yes. This was, of course, only an outline. These proposals were naturally far more extensive. Dr. Stahmer: Is it correct that Poland was to receive a free harbor in Danzig, that it was to receive a corridor to Gdynia, according to the proposals? Dahlerus: That was what Hitler said. Dr. Stahmer: Yes, thank you. What was the further course of the conversation? Dahlerus: I left on a special plane the next morning, after I had got in touch with London. I met Mr. Chamberlain, Lord Halifax, Sir Horace Wilson, and Sir Alexander Cadogan. Dr. Stahmer: This was on 27 August, was it not? Dahlerus: On 27 August, yes. Dahlerus: In Downing Street, Number 10. Dr. Stahmer: What transpired in this conference with Lord Halifax and Mr. Chamberlain? Dahlerus: We discussed in full detail the proposals I had brought. On certain points, as is seen from the British Blue Book, these proposals were not the same as those made to Henderson. I therefore suggested to the British Government that, if they had full confidence in me as an intermediary, they should tell me how far they could accept the proposals and how far not. I would go back to Berlin the same day and discuss the English views with Hitler and Goering. They should keep Henderson in London until Monday, so that the answer could be given after they had been informed how Hitler regarded the English standpoint. Dr. Stahmer: Did you also have a conference that day with Sir Alexander Cadogan? Dahlerus: After the meeting with the members of the Government that I have mentioned, I had a long conversation with Cadogan. Dr. Stahmer: Did you receive certain proposals from him? Dr. Stahmer: What were they? Dahlerus: I must say that the English made the greatest effort to deal in a fair and peaceable way with the various points. Naturally, Point 6, the offer to defend the British Empire, was rejected. Similarly, they did not want to have any discussion on the colonies as long as Germany was not demobilized. With regard to the Polish boundaries, they wanted these boundaries to be guaranteed by the five great powers: Russia, Germany, England, France, and Italy. Concerning the Corridor, they proposed that negotiations with Poland be undertaken immediately. With reference to the first point, England was willing in principle to come to an agreement with Germany. Dr. Stahmer: Did you then return to Germany with these proposals? Dahlerus: Yes; after I had telephoned Berlin. As the English Government had promised to send Henderson back the same day, I obtained confirmation from Berlin that they were agreeable to Henderson's returning only on Monday. I left that same evening and shortly before midnight was back in Berlin. Dr. Stahmer: Did you have a conversation there with Goering? Dahlerus: I met Goering about 11:10 on Sunday evening and told him the results. Dr. Stahmer: Can you describe that conversation somewhat more in detail? Dahlerus: He did not consider the reply very favorable. I told him, however, that in view of the events of the last year he could hardly expect the English to be satisfied with the guarantees of Poland's boundaries by Germany only. With reference to the colonial question, I made it clear to him that any British Government would be overthrown at once that tried to force this point in Parliament as long as Germany's forces were mobilized. In reference to the sixth point, I tried to make it clear to him that England, or the British Empire, preferred to look after their own affairs themselves. Finally he said that it would probably be better if he talked with Hitler alone. He went immediately to the Reich Chancellery and I went to my hotel. At about 1 o'clock on Monday morning, the 26th, I received a telephone call and heard that Hitler would accept the English standpoint provided that the reply expected from Henderson on the next day was, in general, what I had said. Dr. Stahmer: Did you then, that same night, go to the British Embassy? Dahlerus: Yes. I went straight to the British Embassy and gave Sir Ogilvie Forbes a report of the results of my conversation with Goering, and he cabled to London at once. Dr. Stahmer: Did you inform Goering of the substance of this conversation that you had with Forbes? Dahlerus: Of course. I acted quite openly, and therefore I told Goering what I planned to do. The German Government knew, indeed, that I would have this conversation with Forbes. Dr. Stahmer: When did you see Goering again then? Dahlerus: I saw him again on Monday, the 28th, in the morning, at his headquarters. Dr. Stahmer: It must have been Tuesday morning, was it not? Dahlerus: No, Monday morning. It was Monday morning, the 28th. Dr. Stahmer: What was said during this conversation with Goering? Dahlerus: In general, we discussed the situation. He seemed to be satisfied that Forbes had cabled London. Dr. Stahmer: Did you visit Forbes again then? Dahlerus: Yes, I saw Forbes later. But that was of no significance any longer. Dr. Stahmer: And you met Goering again on Tuesday, did you not, on Tuesday morning? Dahlerus: Well, the most important development was that on Tuesday morning, or at 1:15, that is, shortly after midnight, on the 29th, I received a telephone call from the Reich Chancellery, made at Goering's request by Lieutenant Colonel Konrad. He told me that Henderson had submitted his reply in writing, that it was highly satisfactory, and there was every hope that the threat of a war was past. I met Goering again then and he told me that he was highly pleased that the matter had developed so well. Dr. Stahmer: Did he not make a statement of this kind: "We shall have peace; peace is assured?" Dahlerus: Yes. He said something similar to that. Dr. Stahmer: Then sometime on 29 August you were called up again by Goering, were you not? What occasioned this? Dahlerus: I was in my hotel, late in the evening, about 10:30. Forbes called me up and said he had to see me at once. He came to my hotel and said that Henderson and Hitler had had a meeting on Tuesday evening that had taken a very unsatisfactory course. They had parted after a big quarrel. He asked me what I could suggest under these circumstances. During our conversation Goering called me on the phone, and he asked me to come to his house immediately. He told me the same story and seemed very upset at the development. He showed me the German reply to the British note and went through it point by point. He tried to explain to me the reasons for the contents of this note. Finally he told me I should go back to London again immediately and make every effort to explain this unfortunate incident to the British Government. He concluded then by saying that Hitler was busy, and that he was working out a proposal for Poland which should probably be ready the next day. After a talk with Sir Kingsley Wood, the Air Minister, about another visit to England, I left again by plane on Wednesday morning at 5 o'clock. Immediately after my arrival in London I met the same members of the British Government. Dr. Stahmer: Who were they? Dahlerus: The same personages, Mr. Chamberlain, Lord Halifax, Sir Horace Wilson, Sir Alexander Cadogan. Dr. Stahmer: What was said in this discussion? Dahlerus: It was obvious that by that time the British Government had become highly mistrustful, and rather inclined to assume that whatever efforts they might make nothing would now prevent Hitler from declaring war on Poland. The British Government had made the greatest effort. They had expressed the wish through their ambassador in Warsaw that the Polish Government should exert the greatest effort to avoid any border incidents. They explained to me at the same time that it was hardly fair to expect the Polish Government to send delegates to Berlin to negotiate, when it was known what experience other countries had had in the past years when they had been in Berlin on similar missions. I telephoned Berlin, and asked to be connected with Goering, in order to persuade him to arrange a meeting of the delegates outside Germany. He merely said, however, that this was impossible; that Hitler was in Berlin, and the meeting would have to take place in Berlin. It was said, too, that proposals had been made to Poland, and that the members of the British Government viewed these proposals with the greatest suspicion. The entire Polish Government was to meet in the afternoon, and would cable the result of the session to Berlin. In the meantime I returned to Berlin. Dr. Stahmer: When did you meet Goering there? The President: Can you not make this a little bit shorter, Dr. Stahmer? Dr. Stahmer: I believe this testimony is quite short, considering that it deals with the essential circumstances leading to war. However, I think that we shall not take too much more of the Tribunal's time. The President: Mr. Dahlerus, the Tribunal wishes you to come to the crucial matter as soon as possible. Dahlerus: I met Goering shortly after midnight on Wednesday, and he told me the nature of the proposals made to Poland. He showed me the note. I called up Forbes to give him this information. He then told me that Ribbentrop had refused to give him the note, after he had read it through very quickly. I went to Goering immediately and told him it was impossible to treat the ambassador of an empire like Great Britain in this way. I suggested to him that he should allow me to telephone Forbes and give Forbes the contents of the note on the telephone. I did this at about 1 o'clock on Thursday morning. Dr. Stahmer: Did Goering not emphasize that he was taking a great responsibility on himself in giving you this permission? Dahlerus: Yes. Goering emphasized that he was doing this on his own responsibility. Dr. Stahmer: Did you then on the next morning go to the British Embassy in order to convince yourself as to whether your telephonic communication had been understood correctly? Dahlerus: Yes, I saw Henderson on Thursday morning, the 31st, at 10 o'clock, discussed the note with him, and he requested me then to go at once to the Polish Ambassador, M. Lipski, and give him a copy. Dr. Stahmer: Was that done? Dahlerus: He sent Forbes with me to Lipski, and I read the note to Lipski, but he did not seem to grasp its purport. I, therefore, left the room, dictated a note to the secretary, and handed it to him. In the meantime, Lipski stated to Forbes that he would not be interested in discussing this note with the German Government. Dr. Stahmer: Would you reconstruct this conversation as far as you are able? It seems to me particularly important. Dahlerus: He said that he had no reason to negotiate with the German Government. If it came to war between Poland an Germany, he knew--since he had lived 51/2 years in Germany--that a revolution would break out in Germany, and that they would march on Berlin. Dr. Stahmer: Did you then inform London of your conversation by telephone? Dahlerus: I telephoned at once from the British Embassy an informed Sir Horace Wilson of the conference that we had had. Dr. Stahmer: Was there then another discussion in the afternoon with Goering? Dahlerus: I saw Goering at 1 o'clock in the afternoon. He received then a copy of the cablegram from the Polish Government to Lipski, to the effect that Lipski should not, without special instruction from Warsaw, negotiate with the German Government. It was obvious that the Poles under those circumstances were afraid to take any action. The German Government was, however, much disturbed at this telegram. Dr. Stahmer: On that afternoon did you again meet Goering together with the British Ambassador? Dahlerus: The situation already seemed to have become impossible. Hitler had quarreled with Henderson. Ribbentrop, too, had quarreled with him. Therefore, I was of the opinion that the only possibility lay in Goering coming to an understanding with Henderson. I suggested a meeting between them. This took place at 4:50 in the afternoon, at Goering's house. Forbes was present and I too. Dr. Stahmer: What was said during this meeting? Dahlerus: Even before the meeting, Henderson expressed his suspicion that the German Government would try to arrange a settlement with Britain and cause a break between England and Poland. Henderson was therefore very cautious during the 2-hour session, and the result of the conversation was only that both parties agreed that a meeting of delegates from both countries would be necessary if war were possibly to be avoided. Dr. Stahmer: Did you on this occasion likewise suggest that Goering should meet the British delegates immediately? Dahlerus: I suggested that a meeting in Holland should be arranged at once, at which Goering should represent Germany. Dr. Stahmer: How did Henderson react to this proposal? Dahlerus: Henderson promised to submit this proposal to his Government. However, I had the impression that he already knew that German military forces were on the march, and it did not seem to me that he had much confidence in any fortunate outcome. Dr. Stahmer: Are you acquainted with a statement of Goering to the effect that if the Poles did not give in, Germany would kill them like lice; and if Britain should decide to declare war, he would regret it very much but it would be very unwise of Britain? Dahlerus: I cannot recollect these words, but it is possible that during the 2-hour conversation they were uttered. Dr. Stahmer: How did this conference end then? Dahlerus: At 7 o'clock in the evening it broke up and both parties were agreed that they would endeavor to arrange for a meeting in Holland. Dr. Stahmer: Did you then on 1 September meet Goering again? Dahlerus: On 1 September I met Goering at 8 o'clock at his headquarters. After some hesitation he told me that the war had broken out because the Poles had attacked the radio station of Gleiwitz and blown up a bridge near Dirschau. Later he gave me more details from which I concluded that the full force of the German Army was employed in the attack on Poland. Dr. Stahmer: Did you then on 3 September meet Goering again, and did you on this occasion, make the suggestion that Goering should fly to London immediately for a personal conference? Dahlerus: Well, before I mention what happened then, I should like to mention that I met Hitler on 1 September, immediately after his Reichstag speech in the Kroll Opera House. He was at that time exceedingly nervous and very agitated. He told me he had all along suspected that England wanted the war. He told me further that he would crush Poland and annex the whole country. Goering interrupted, and pointed out that they would advance as far as certain given points. But Hitler was in an uncontrollable frame of mind. He began to shout he would fight for 1 year, 2 years, and ended up in great agitation that he would, in fact, fight 10 years. Then, on Sunday, 3 September, I was informed early in the morning by Forbes that at 9 o'clock that morning an ultimatum would be given. The conditions were that the hostilities must cease immediately and the German forces must be withdrawn to the German border. I went immediately to Goering's headquarters near Potsdam. He was there and not with Hitler. I appealed to him to try at least to arrange for a reasonable reply to the ultimatum. I had the impression that certain members of the German Government were in favor of war and I was afraid if a written reply were giver it would not be worded so as to avoid war with England. I therefor suggested that Goering should declare himself prepared to go to England, at once, before 11 o'clock, to negotiate there. Dr. Stahmer: How did Goering react to this suggestion? Dahlerus: He accepted this suggestion and telephoned Hitler, who likewise concurred with it. Dr. Stahmer: Did you then telephone London? Dahlerus: Yes. I telephoned London and got in touch with the Foreign Office. They gave the reply that they could not consider this proposal before they had received a written reply to the ultimatum. Dr. Stahmer: Did you forward this communication to Goering? Dahlerus: Yes, I told Goering this. Dr. Stahmer: What impression did your communication make on Goering? Dahlerus: Goering seemed to be sorry that the proposal was not accepted. Dr. Stahmer: Then on 4 September did you speak once more with Goering? Dahlerus: Yes, I had a short conversation with Goering on 4 September, but it was not of great importance. Dr. Stahmer: On this occasion did Goering say to you that, come what might, he would endeavor to carry on the war as humanely as possible? That Germany would under no circumstances begin hostilities against England first, but if England should attack Germany then the answer would be forthcoming? Dahlerus: Yes, that is correct. Dr. Stahmer: Did you publish a book entitled Last Attempt? Dr. Stahmer: Is the account given in this book in accordance with the truth? Dahlerus: Yes, it was written with greatest care. The contents are absolutely accurate and correct. Dr. Stahmer: Is this account based on notes that you took on these events? Dr. Stahmer: When did you write these notes? Dahlerus: I wrote them immediately after my return to Sweden on 5 September 1939. Dr. Stahmer: Mr. President, I have three more brief questions--should I stop now?--they pertain to the subsequent period. The President: I think you could ask them now. Dr. Stahmer: [Turning to the witness.] On 24 September 1939, did you speak to Forbes in Stockholm? Dahlerus: No, I met Forbes on 24 September in Oslo. That was after the occupation of Poland. It was an endeavor to ascertain if there was still a possibility of averting a world war. He gave me in writing the viewpoint of the British Government. It was briefly as follows: "The British and French Governments..."
The President: Wait a moment. What has this got to do with the Defendant Goering? Dr. Stahmer: This is evidence that he made efforts even later to bring about peace. I have only one more question which concerns Goering directly. The President: The fact that he met Sir George Ogilvie Forbes in Oslo on 24 September does not at present appear to have anything to do with Goering. Dr. Stahmer: It appears significant in that it was the occasion for Mr. Dahlerus to get in touch with Berlin and Goering again in order to try once more, at this stage of events, to bring about peace. The President: Well, go on with your next question then. Dahlerus: The conditions were: "To save Europe from continued German aggressions and to enable the peoples of Europe..."
The President: Wait a minute. What has the letter that Sir George Ogilvie Forbes wrote got to do with Goering? Dr. Stahmer: Dahlerus discussed this letter, the contents of this letter on 26 September with Goering, and tried on this basis to reach an agreement. Mr. Justice Jackson: Your Honor, may I enter a further objection? It has nothing to do with the Indictment. We have not charged that the war against England was an aggressive war. The charge is that the war against Poland was an aggressive war. All of this negotiation to keep England out of the war while they took Poland is utterly irrelevant to the Indictment. I respectfully submit that because it has nothing to do with the Indictment, with the charge, it should be rejected. The President: Dr. Stahmer, if the witness had an interview with Goering afterwards, you can come to that, but not to preliminary conferences with Sir George Ogilvie Forbes. The President: Let the witness give the account of his meeting with Goering. Dr. Stahmer: Very well. [Turning to the witness.] Mr. Dahlerus, you then on 26 September looked up Goering in Berlin, did you not? Dahlerus: Yes, I met both Goering and Hitler on 26 September. Dr. Stahmer: Did you inform Goering of the proposals Forbes had made to you? Dahlerus: I discussed with Hitler on what conditions he would be prepared to make good the harm he had done to Poland, and make peace. To my great disappointment he then definitely declared that he was not prepared at all to discuss the question of Poland. Poland was occupied and that was no business any longer of Great Britain. I then realized that his aim had been to split Poland and Britain and thus, with the consent of Great Britain, to have the opportunity of occupying Poland without running the risk of being involved in a war with Great Britain and France. Dr. Stahmer: In July 1940 did you again meet Goering? Dahlerus: Yes, Goering suggested in July, 1940 that His Majesty, the King of Sweden, should endeavor to bring the various powers together for peace negotiations. The President: Do the defendants' counsel wish to ask any questions? Dr. Horn [Counsel for Defendant Ribbentrop]: Witness, can you tell us the reason why the conference between Hitler and Henderson on 29 August took an unfavorable course? Dahlerus: No, I heard only the report that they disagreed and a quarrel started. Dr. Horn: Do you know on which of the six points the quarrel started? Dahlerus: As far as I recollect, it was on the wording of the German reply saying that they expected representatives from Poland during the next 24 hours. Dr. Horn: Did Hitler not explain to you then in the presence of Goering why he made this demand and that was because the two armies, the Polish and the German, were already facing each other in readiness, and at any moment a serious conflict was to be expected. Therefore Hitler did not want to present an ultimatum as to the sending of a negotiator from Poland, and thereby wanted solely to avoid the outbreak of a conflict? Dahlerus: Yes, explanations to that effect were given. Dr. Horn: Is it correct, Witness, as you state in your book, that at the Polish Embassy the Polish Ambassador Lipski told you that in case of war the Polish Army would march to Berlin in triumph? Dahlerus: No, he did not say that to me, but he made remarks to that effect to Forbes. Dr. Horn: And Forbes transmitted these remarks then to you. Dr. Horn: How did your meeting with Mr. Forbes in Oslo on 24 September come about? Dahlerus: I took the initiative and went to Oslo to see him. Dr. Horn: Can you please tell us briefly the contents of the letter from Forbes? Dahlerus: I read that before. The President: The Tribunal has already said that it does not want to hear that. And I do not see what it has to do with von Ribbentrop. Dr. Horn: The former Foreign Minister, Joachim von Ribbentrop, is under indictment for the leadership of the entire German foreign policy. I therefore consider it important that this letter, which will give decisive information about the further course of foreign policy, as Ribbentrop saw it--about his later attempt in the direction of peace, for instance--be read to the Tribunal. The President: Was this letter ever shown to von Ribbentrop? The President: The Tribunal has already ruled that it will not have the letter read. Dr. Horn: You had then on 26 September 1939 a discussion with Hitler. Is it correct that Hitler told you at that time he could not negotiate with England concerning Poland because the major part of Poland was occupied by Russia, and Russia, to his knowledge, would certainly not give it up? Dahlerus: He declared that he was not prepared to discuss the question of Poland, and added afterwards that, apart from his decision, he did not think Russia was prepared to discuss the territory occupied by Russia. Dr. Horn: Were you politically independent at the time you were conducting your negotiation? Dr. Horn: Thank you, I have no further question. Dr. Laternser: I have only one question for the witness: [Turning to the witness.] Witness, did high military leaders at any time participate actively in the numerous negotiations which you had with German authorities at that time? The President: Do other defendants' counsel wish to ask any questions? Sir David Maxwell-Fyfe: Mr. Dahlerus, will you tell me whether I understood your last answer to Dr. Stahmer correctly? Did you say "I then realized that it was on the 26th of September, that his"--that is Goering's--"aim had been to split Poland and Great Britain and to occupy Poland with the consent of Great Britain"? Is that right? Dahlerus: Yes, it is correct, but I should like to say it was the German Government, including Goering. Sir David Maxwell-Fyfe: Wait ... the German Government. Thank you. Now, I just want you to tell the Tribunal quite shortly why you did not realize that aim earlier. Dr. Stahmer: As far as I understood the witness' answer before, he said in answer to my question that that was Hitler's opinion. The witness did not speak of Goering at all. The President: You will be able to re-examine him. Sir David Maxwell-Fyfe: Now, I want you just to explain to the Tribunal--and listen to the question I put to you--why did you not understand that aim at the time? Your original object in seeing Goering at the beginning of July was to inform him that British public opinion had hardened and would not stand another act of aggression; that is right, is it not? Sir David Maxwell-Fyfe: The reason you went to Goering is shown on Page 8 of your book, if you have got the English version. The essence of National Socialism. was bellicose and aggressive and completely devoid of all moral scruples in its dealings with other nations. Hitler and his protege Ribbentrop thirsted after conquest. It was said that Goering had energetically striven for a peaceful solution of the Munich crisis and this had lessened his popularity within the German Government. That was the reason you went to Goering? Sir David Maxwell-Fyfe: And when you put your point of view to Goering his first reaction was that the British Government was bluffing over Danzig and Poland. Sir David Maxwell-Fyfe: And you wanted and succeeded in arranging the first meeting in order to convince Goering that, according to British public opinion, the British Government was not bluffing, is that right? Sir David Maxwell-Fyfe: Now, I just want you to turn to Page 29 of your book, at the very top of the page, which describes the end of your conversation with the Defendant Goering in the train before the meeting at the beginning of August. Do you remember? Sir David Maxwell-Fyfe: Goering explained what his aim was. And if you look at the second line: "This was a mutual agreement regarding the holding of an Anglo-German conference"--and note the next words, Mr. Dahlerus, "with plenipotentiary representatives from both Governments." One matter that Goering had always made clear was that he would demand the return of Danzig and certain rights over the Corridor--the Polish Corridor--is that not right? Sir David Maxwell-Fyfe: And from the very start he wanted a plenipotentiary conference at which territory could, if necessary, be ceded to Germany, did he not? Sir David Maxwell-Fyfe: Now, I want you to come straight on to 24 August, when you saw Goering and he asked you to go to London. One of the points that he wanted you to stress was that he and the German Government thought that there had been a great improvement in their military situation because of the German-Soviet treaty. Sir David Maxwell-Fyfe: And the other--if you turn to the bottom of Page 35 in your book and then look at the top of Page 36: "The reason was his disbelief that the German Foreign Office would be able or willing to establish a sufficiently close contact with the British Foreign Office." Sir David Maxwell-Fyfe: Now, you remember that day you had the conversation with him, and later on he rang you up at 11:30 before your departure? Sir David Maxwell-Fyfe: I just want you to tell the Tribunal one or two of the things he did not tell you on that day. He did not tell you, did he, that 2 days before, on the 22nd of August, at Obersalzberg, Hitler had told him and other German leaders that he--Hitler--had decided in the spring that a conflict with Poland was bound to come. He did not tell you that, did he? Dahlerus: I never had any indication or information on the political intentions, either on the 11th of April; or the 23rd of May, or the 22nd of August. Sir David Maxwell-Fyfe: You never heard of--that is Document Number 798-PS, the one of the 22nd of August--you told us, you never heard of the Fall Weiss that had been prepared in April, but I want to get it quite clear about the other one, Document Number L-75 of the 23rd of May. He never told you that Hitler had said to him on that day that Danzig is not the subject of the dispute at all. "It is a question of expanding our living space in the East." And I think he also did not tell you that Hitler had said on that day, "Our task is to isolate Poland; the success of the isolation will be decisive." He never spoke to you about isolating Poland? Dahlerus: He never indicated anything in that direction at all. Sir David Maxwell-Fyfe: But I think he did tell you in the earlier interview that he was going to see M. Lipski, the Polish Ambassador. Sir David Maxwell-Fyfe: He did not tell you, as I understand you, that he was going to inform M. Lipski that the main obstacle to any diminution of the tension between the two countries was Poland's alliance with Great Britain. He did not tell you that, did he? Sir David Maxwell-Fyfe: That is Exhibit Number GB-39, Document Number 72-PS, Page 119. So that, while he was asking you to go to England to deal with one side of the matter, he was dealing with M. Lipski on the other. I just want to get a clear picture of the situation on the 24th. Did he tell you that the decision had been made to attack Poland on the morning of the 26th? Dahlerus: No, in no way whatsoever. Sir David Maxwell-Fyfe: Now, you were asked to go with these general purposes, as I put it to you? You know now, Mr. Dahlerus, that on the next day our note verbale was given to Sir Neville Henderson by Hitler--on the 26th. Sir David Maxwell-Fyfe: And that note, as distinguished from what was said to you later on, stated in general terms that the Polish question must be solved, so that the effect of the plans, as they stood on the evening of the 24th, when Goering rang you up, was that you were going off in the morning with the expression of a general desire for a peaceful solution. The note verbale was to be given to Sir Neville Henderson on the afternoon of the 25th and at that time the plan was that Poland would be attacked on the morning of the 26th, when you had delivered your message, and Sir Neville had sent on the note verbale. That was the position? Sir David Maxwell-Fyfe: Now, did Goering ever tell you why the plan of attack was changed from the 26th to the 31st? Dahlerus: No, he never mentioned anything about the plan of attack; nor that it was changed. Sir David Maxwell-Fyfe: He did not tell you that--this is Document Number TC-90, Exhibit Number GB-64--I quote Goering's own words: "On the day when England gave her official guarantee to Poland"--that was the 25th--"the Fuehrer called me on the telephone and told me that he had stopped the planned invasion of Poland. I asked him then whether this was just temporary or for good. He said, 'No, I will have to see whether we can eliminate British intervention.' So then I asked him, 'Do you think that it will be any different within 4 or 5 days?'" Goering never told you that, at the time you were being sent to London, all that was wanted was to eliminate British intervention? Sir David Maxwell-Fyfe: Well, now, I just want to state again, quite shortly; you went and came back with Lord Halifax's letter. I want to make this quite clear, Mr. Dahlerus: Throughout Lord Halifax made it clear that Great Britain was going to stand by her obligations to Poland, did he not? Sir David Maxwell-Fyfe: And then on the 27th of August, the night of the 26th to 27th, at 12:30 midnight, you had this interview with Hitler. Now, to you, Mr. Dahlerus, Hitler for the first time made it clear that his terms were, that Great Britain should help Germany in securing Danzig and the Corridor. Sir David Maxwell-Fyfe: Not "rights in the Corridor," but "the Corridor." Do you remember that when you told that to Mr. Chamberlain he was surprised at the difference between your account and that given to Sir Neville Henderson? Sir David Maxwell-Fyfe: Now, I am not going to go through it all again, but I just want you to help me from your own book, which you say was carefully and objectively written, as to the state of mind of the rulers of Germany at that time. Now, would you first of all look, with regard to Hitler, on Page 47? That is the passage you have already told the Tribunal about, where he was shouting, "Dann werde ich U-Boote bauen." Sir David Maxwell-Fyfe: Now, just let me put it to you--it is quite short--how you described it at the time, and you tell me if it is right, "If there should be a war," he said, "Dann werde ich U-Boote bauen, U-Boote, U-Boote!" and he raised his voice each time? The voice became more indistinct and finally one could not follow him at all. Then he pulled himself together, raised his voice as though addressing a large audience and shrieked--shrieked--"Ich werde Flugzeuge bauen, Flugzeuge bauen, Flugzeuge, Flugzeuge, und ich werde meine Feinde vernichten."' And you go on to say: "Just then he seemed more like a phantom from a story book than a real person. I stared at him in amazement and turned to see how Goering reacted, but he did not turn a hair. His words became blurred and his behavior was that of a completely abnormal person. From the very beginning of our conversation I had resented his manner toward Goering, his most intimate friend and comrade from the years of struggle. His desire to dominate was explicable, but to require such obsequious humility, as Goering now exhibited, from his closest collaborator seemed to me excessively repellent and unprepossessing. Would you just turn over to Page 54, the fifth line from the end? I realized that I was dealing with a person who could not be considered normal. That was your considered view, was it not, Mr. Dahlerus? Dahlerus: It was the opinion I formed the first time I met him. Sir David Maxwell-Fyfe: That was the Chancellor of Germany. Now I want you, for a moment, to deal with the Foreign Minister of Germany, according to the impressions that you formed. Generally, I think you got the impression that Von Ribbentrop was doing everything he could to interrupt and spoil your endeavors? That was said seriously and solemnly, Mr. Dahlerus? Sir David Maxwell-Fyfe: And you go on: "At a meeting in October of the same year Goering told me that Ribbentrop had tried to arrange for my plane to crash. Hence Goering's solemn mien when he bid me farewell." Dahlerus: Well, he had mentioned Ribbentrop's name just a minute before, and when he spoke about the plane crashing, he used the word "he." I assumed he meant Ribbentrop. 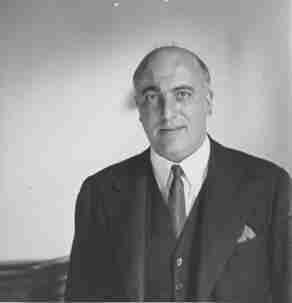 Sir David Maxwell-Fyfe: That was the Foreign Minister, according to Goering. I want you now to turn to Page 100, because I want to collect these things. This is a description of the 1st of September, the afternoon of the day on which Poland had been attacked, and you saw the Defendant Goering, I think, in the Air Ministry or at one of his offices. Do you see it? It is just before the second break. "To him"--that is, to Goering--"everything was lined up according to a plan which nothing could upset. Finally he called in the State Secretaries Korner and Gritzbach, gave them a long harangue, and presented each of them with a sword of honor, which he hoped they would carry gloriously through the war. It was as if all these people were in some crazy state of intoxication." Are these your words? Sir David Maxwell-Fyfe: And that is the impression? Of course you mean that they were mentally intoxicated with the idea of war? Dahlerus: They had changed their frame of mind within a short time. Just let us proceed, quite shortly, with what happened after that. On the weekend of 26 and 27 August you went to England. You have told me that you did not know about the calling off of the attack on the morning of the 26th, and you did not know that the intention of Hitler was to eliminate English intervention. You did not know these points; so you went back to England on the 27th with these fuller terms, and the English answer was that, while they maintained their obligations, they hoped and recommended that the German and Polish Governments might begin negotiations between themselves with regard to the point? Sir David Maxwell-Fyfe: And that was the answer that you brought back. Now, I just want you to think for a moment of the interview that you had at breakfast time with Goering, I think in his train or in his headquarters, on the 28th of August. You find it at Page 65 of the book, if you want to refresh your memory. At that time, did Goering not try and convince you that the return of Danzig and the Corridor would make no difference to Poland's military situation? Sir David Maxwell-Fyfe: Because, illustrating it from his own war maps, he thought that Germany was in a position to defeat the Poles anyhow, whether they had the Corridor or whether they hadn't? Sir David Maxwell-Fyfe: And his Air Forces and the troops were all in position to carry that out? Sir David Maxwell-Fyfe: Now, I want you now to come to the question of the meeting at which the terms were given to Sir Neville Henderson. That was at 7:15 in the evening, on the 29th of August, and the meeting went on for some time. Do you remember that meeting? Sir David Maxwell-Fyfe: Now, I think Sir George Ogilvie-Forbes told you that that meeting had gone very badly, and then at 11:30 you saw Goering, and Goering said much the same as Sir George Ogilvie-Forbes as to how the meeting had gone. Sir David Maxwell-Fyfe: And he said, that what had upset the Chancellor was that Sir Nevile Henderson had characterized or implied that this demand that the plenipotentiary should come within 24 hours was equivalent to an ultimatum. Sir David Maxwell-Fyfe: You see the facsimile. Have you a copy? Dahlerus: I have the original here. For the rest, in making these proposals the German Government has never had any intention of touching Poland's vital interests or questioning the existence of an independent Polish State. The German Government, accordingly, in these circumstances, agrees to accept the British Government's offer of its good offices in securing the dispatch to Berlin of a Polish emissary with full powers. It counts on the arrival of this emissary on Wednesday, 30 August 1939. The German Government will immediately draw up proposals for a solution acceptable to itself and will, if possible, place these at the disposal of the British Government before the arrival of the Polish negotiator. That is the bit that the Defendant Goering has underlined, just before the bit about the sending of the plenipotentiary. Sir David Maxwell-Fyfe: So that there was no doubt that the Defendant Goering was associating himself with the importance of that point. Sir David Maxwell-Fyfe: Now, you remember that at that time, during that interview, that is, the night of the 29th, the Defendant Goering made a great tirade against the Poles. Sir David Maxwell-Fyfe: I am not going to go into that in detail; but then he said to you that the Fuehrer was preparing what I think in English is a "magnanimous offer." Sir David Maxwell-Fyfe: And to show you the nature of the "magnanimous offer," he hedged in a portion of the bits of Poland. That is also in the preface to your book. Sir David Maxwell-Fyfe: Now, there are two points about what he hedged in. In fact, it was much more than had been taken from Germany under the Treaty of Versailles. Secondly, it was entirely different from what was cabled over by the Defendant von Ribbentrop to Sir Neville Henderson the next night. This map, a reproduction of which is given in tihis book, is extraordinarily interesting because it illustrates the rapidity and recklessness with which the decisions in this question were reached. I had the map with me when I left for London a few hours later, but it turned out that the boundaries drawn up on it differed very considerably from those given the well-known 'Project Ribbentrop,' presented at top speed to Henderson on the night between the 30th and 31st of August. That is rather less than 24 hours later. Sir David Maxwell-Fyfe: And then you go on to describe what it showed. Well, it showed this quite clearly, that 24 hours before that was cabled over to Sir Neville Henderson the German Government had never seriously considered what portion of the Corridor it was going to claim and what portion it was not going to claim. Is that so? Goering was putting an entirely different thing to you the night before, was he not? Dahlerus: The first proposal I brought with me on Sunday morning, the 27th. Yes, there it was only the small Corridor, and they extended the claims according to this last plan. Sir David Maxwell-Fyfe: They extended the claim, so that the effect of what was put to you, what you were sent to announce--that a "magnanimous offer" was coming--was actually an extension of claims, and, equally actually, quite different from what was suggested the next night by the Defendant Ribbentrop. Sir David Maxwell-Fyfe: Now, I just want to ask you one word about an interview that took place on the 31st of August. You will find it at Page 87. 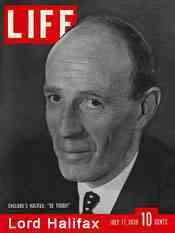 It is the interview at which Sir George Ogilvie-Forbes gave you an account of what M. Lipski had said. I want you just to tell me this: You did meet M. Lipski, did you not? Sir David Maxwell-Fyfe: And, of course--obviously, the same could be said of everyone, I am sure of yourself also--M. Lipski was suffering from considerable strain in that most critical time? Dahlerus: He was very nervous. Sir David Maxwell-Fyfe: Very nervous. And did not Sir George Forbes tell you that M. Lipski made his opinion quite clear that the German offer was a breach of Polish sovereignty; and that, in his view, Poland and France and England must stand firm and show a united front; and that Poland, if left alone, would fight and die alone? That was M. Lipski's mood, was it not, at the time? Sir David Maxwell-Fyfe: And with regard to the other matter, I am not going into the details, but there is a considerable and significant difference between the Polish version of the telegram of instructions to M. Lipski and the version which the Defendant Goering showed to you? Sir David Maxwell-Fyfe: Now, on the morning of the 1st of September I think you saw Goering at 8 o'clock. Would it be a correct description of the way in which he broke the fact that he had attacked Poland to say that it was very gradual or slow, with Goering almost walking backwards, when he broke the news to you that the attack had taken place? Dahlerus: Well, so much so that I immediately phoned London and got in contact with the Foreign Office and informed somebody that, according to the information I had received, the Poles had been attacked, and they naturally wondered what was happening to me when I gave that information. Sir David Maxwell-Fyfe: Yes, but he did eventually admit that they had attacked Poland.. and then you had a further interview with Hitler. There is just one point I want you to clarify. I do not think you told the Tribunal about the time when he said he would fight for 10 years. Look at Page 98. Sir David Maxwell-Fyfe: You see there, after saying: "'Will ich zehn Jahre kampfen,' he brandished his fist and bent down so that it nearly touched the floor." Sir David Maxwell-Fyfe: So I take it, he was in the same state as at the time of your previous interview. Dahlerus: Well, if possible, more nervous. Sir David Maxwell-Fyfe: Now, there is just one final matter, if you would look at Page 102, and then I shall leave your book. You remember you saw the Defendant Goering on the morning of Saturday, 2d September? To my surprise he was more inclined to listen to the viewpoints which I maintained, for, as soon as we had sat down in his private drawing-room car, he told me that there was talk of a mediation sponsored by Mussolini. Mussolini was said to be fervently trying to stop the war, and especially to prevent it from spreading. Goering said that he wanted to inaugurate a new Munich. I do not want to put it unfairly, and therefore I ask you, Mr. Dahlerus, does the "he" in that sentence refer to Goering Dr to Mussolini? Dahlerus: I think it refers to Mussolini. Sir David Maxwell-Fyfe: You think it refers to Mussolini. That is what I suspected, and therefore I will not trouble you further about it, except to ask you this: I have taken you briefly--I hope you will agree, fairly--through the points on this matter, and on these facts that I have put to you, and with which you will agree, are they the basis of your opinion that the aim of the German Government, including Goering, was to split Poland and Great Britain and to occupy Poland with the consent of Great Britain? Dr. Stahmer: I believe that this question goes too far. Therefore, I have to object to this question. It refers in general to the government and to a definite number of persons. Besides, it is an expression of opinion and not a fact about which the witness is to testify. Sir David Maxwell-Fyfe: The question was: Are these facts the basis of your opinion? The President: The Tribunal thinks it is a perfectly proper question and arises directly out of the examination in chief. Dr. Sauter: But then I should like to ask, Mr. President, that it be clarified what is to be understood under the term "German Government," of which the prosecutor speaks constantly. The German Government consists of quite a number of ministers, and if one speaks here continuously of the German Government, without saying who is meant individually, the impression is created, that each and every one of the ministers was responsible and had participated in these negotiations, although, in fact, he knew nothing about it. I am representing one of these ministers who knew nothing about these negotiations, and therefore it would be of interest to me if the prosecutor would be kind enough to clarify who actually is meant by the term "German Government." That is to say, whether the Minister of Economics, Funk, for instance, is also included, or whether it refers only to two or three other gentlemen. The President: We do not agree at all with what Dr. Sauter has said. We have already heard the Defendant Goering at considerable length about what the government consisted of, and it will be upon the defendants' counsel, when the time comes to argue the case, to argue that the government did not include the members whom they represent. Defendants' counsel do not seem to understand that, what they call clarification is a matter which ran be done in re-examination. Dr. Stahmer will have the opportunity of re-examining, and then can ask any questions that arise out of the cross-examination. Sir David Maxwell-Fyfe: I will put it, Mr. Dahlerus, in this way: Are these facts which you have heard and agreed with this afternoon, are they the basis of the view which you expressed in answer to Dr. Stahmer's question this morning? Dahlerus: Yes. At the time I thought I could contribute something to preventing a new war; I could definitely prove that nothing was left undone by the British, by His Majesty's Government to prevent war. But had I known what I know today, I would have realized that my efforts could not possibly succeed. Sir David Maxwell-Fyfe: My Lord, there is one other point. I ask Your Lordship's indulgence. Dr. Stahmer asked for the names of these English industrialists. My Lord, I am very anxious, as representative of the British Government, that there should be no concealment about this matter at all, and I should, therefore, ask, with all humility, that Your Lordship would allow me to ask Mr. Dahlerus to give the names, simply for that reason. The President: Certainly, if you wish to. Sir David Maxwell-Fyfe: Mr. Dahlerus, will you tell us the names of the gentlemen that you met on your wife's estate in Schleswig-Holstein? Dahlerus: Shall I read them or hand them in? Sir David Maxwell-Fyfe: Read them if you will. Dahlerus: The Honorable Charles McLarn, S. W. Rossen, A. Holden, Sir Robert Renig, Bryon S. Mountain, C. F. Spencer, T. Menceford. Sir David Maxwell-Fyfe: Thank you very much. The President: Does any other member of the Prosecution wish to cross-examine? Dr. Stahmer, do you not wish to re-examine? Dr. Horn: Mr. President, I should like to put a question. May I ask, without being misunderstood, why these names could not be read this morning when Dr. Stahmer asked for them? The President: Why do you ask that question? What has it to do with the case of von Ribbentrop? Dr. Horn: The witness Dahlerus was also approved for the Defendant von Ribbentrop, and I had reached an agreement with Dr. Stahmer as to certain questions. I, too, was interested in these questions this morning and also in the question about the people who had been there. The President: The reason why the names were not given this morning was because we wished to get on with this Trial, and we thought that the names of these gentlemen were irrelevant. But as Sir David Maxwell-Fyfe asked that they might be introduced in order that there could be no suggestion of concealment, the Tribunal has allowed them to be given. Dr. Stahmer: Mr. Dahlerus, you said this morning that on 23 August you were called up by Goering in Stockholm and that he told you that the situation had become serious, and that, therefore, he was absolutely obliged to talk to you. Did he tell you for what reasons he considered the situation at that moment serious? Dr. Stahmer: And you did not ask him about it? Dr. Stahmer: You came then to Berlin on the 24th and conferred at once with Goering. Did Goering tell you on this occasion what had made the situation more serious in the meantime? Dr. Stahmer: What did he tell you about the danger? In what did the seriousness of the situation consist? Dahlerus: He indicated that the fact that the Polish question was not yet solved, and that there was no indication that it would be solved, made the situation serious. He also said that it depended entirely on the British attitude and initiative whether a solution could be found. Dr. Stahmer: From this answer then you learned that Poland was the point of danger? Dr. Stahmer: You did transmit proposals then on 27, August which had as their main object the solution of the Polish question? Dr. Stahmer: In reply to my question with reference to the events of 26 September, you said this morning, according to my notes, that you were of the opinion at that time that Hitler's plans were not quite clear. Then this afternoon you spoke of Goering. How do you account for that difference in your answer? Dahlerus: At the time I had to assume that the leading members of the German Government worked in close collaboration. Dr. Stahmer: Then you concluded that from this fact? You also said before, if you had known what you know today, you would not have intervened. What has brought about your change of opinion? Dahlerus: The facts disclosed, chiefly during the proceedings in this court, and as published. Dr. Stahmer: Which facts are these? Dahlerus: The incidents I quoted, the declaration of 11 April, 23 May, and 22 August. Dr. Stahmer: You have no further facts, have you? Dahlerus: Yes, but those are the main points. Dr. Stahmer: What are the minor points? What are your other misgivings? Dahlerus: One is the experience on 26 September 1939, the speech by Hitler on 6 October 1939, and a number of declarations made since. Dr. Stahmer: You mentioned before a plane crash, if I understood you correctly, which was to have been brought about by Ribbentrop. Were you really serious about that? Dahlerus: Well, I corrected my statement to say that I assumed that it was Ribbentrop, because his name had just been mentioned about a minute before. Dr. Stahmer: I have one more question for the witness. What about the map of Poland which had just been shown and which allegedly was drawn by Goering? Dahlerus: I have the original of that map in my possession. Dr. Stahmer: And what was the explanation given to you? Dahlerus: That it was a territory that held a majority of Germans, and not Poles. Dr. Stahmer: How do you explain, then, the difference between the later offer and that map? Dahlerus: I can only assume that the question had not been thoroughly discussed and various proposals had been made before the definite proposal was submitted. The President: Mr. Justice Jackson, you will continue your cross-examination, will you not? Mr. Justice Jackson: I have assumed, Your Honor, that, since Goering's testimony was suspended in order to hear Dahlerus, on the ground that it might change some of his examination, Dr. Stahmer would complete any direct examination he may have on this subject with the Witness Dahlerus before I finish my cross-examination. The President: I beg your pardon, yes. Dr. Stahmer, will you ask any questions of the Defendant Goering that you wish to ask, arising out of the evidence of the Witness Dahlerus. Dr. Stahmer: I can ask him these questions only after I have spoken with him. I therefore consider it appropriate for Mr. Justice Jackson to continue his cross-examination, and after the cross-examination I can deal with these questions as well. The President: Dr. Stahmer, the Tribunal considers that you ought to be prepared to go on now.. It is you who asked for the evidence of Dahlerus to be interposed, and Dahlerus was your witness, not the Prosecution's witness, and therefore presumably you knew what Dahlerus was going to say. Dr. Stahmer: Then I ask for the opportunity to discuss the matter with the defendant. The President: The Court has just been adjourned for 10 minutes. Dr. Stahmer: I was not able to finish the matter in that short period of time. The President: The Tribunal is of the opinion that you must ask these questions now and go on with the examination. If you wish to examine the Defendant Goering on these matters you must do it now. Dr. Stahmer: [Turning to the defendant.] A map was mentioned previously which is supposed to have been drawn up by you and which is contained in Mr. Dahlerus' book, the authenticity of which he confirmed this morning in answer to my question. I am having this map, which is to be found on Page 53 of his book, shown to you and I ask for your explanation of it. Goering: In the discussion that took place in the night of 29-30 August between Dahlerus and me, I believe at the Fuehrer's, I tore a map from an atlas on the spur of the moment and outlined with a red pencil, and I believe a blue or green pencil, those regions-not the regions which we would demand, as declared here before by the Prosecution-but those regions of Poland in which Germans live. That the witness Dahlerus was also of this opinion can be seen most clearly from the fact that he repeated the same markings on another map and then wrote as follows, next to the marked section: "German population according to Goering;" and next to the dotted section: "Polish inhabitants according to Goering." He then goes on writing and draws boundaries: "Goering's first proposal for the boundary" which agrees with the markings of the regions of German and Polish populations. That was not a boundary proposal, but a separation of the two populations. And then he writes: "Hitler's proposal;" that is the final, the correct, and the only proposal transmitted to the Polish as well as to the British Government. If one compares my map one sees that here quite spontaneously and in a great hurry, with a two-color pencil, a quite superficial marking off of the approximate zones of population is made, that is, one in which the majority are Germans and one in which there are exclusively Poles. From the beginning Mr. Dahlerus was given only the broad outlines of the boundary proposal, which was later made more exact. That is the only one in question, the same one which was published, which was read to Ambassador Henderson, and which, as Henderson did not understand it, I had telephoned to the Embassy by Dahlerus during the night, and checked the next day. Dr. Stahmer: Will you please repeat the last sentence? I believe it did not come through. Goering: I said, the boundaries of the Corridor, as outlined here at Hitler's suggestion, were the official proposal which the Fuehrer, as the only person entitled to make final proposals, had worked out. It is the same proposal that was read to Ambassador Henderson, and as he did not understand it, I turned the note which was read to Henderson, over to Dahlerus for him to dictate it so that I could be sure that the English Ambassador was informed of it in its entirety. To do this was, as I have already said, actually an enormous risk, since the Fuehrer had forbidden this information being made public at the moment, and, as I have stated already, only I could take that risk. But for the rest, as far as my markings are concerned, they show clearly on the map: "German population according to Goering; Polish population according to Goering." But that was only approximate and done in a great hurry during the night, merely for his information, and on a map torn from an atlas. Dr. Stahmer: Mr. Dahlerus said that you called him up on the 23rd of August and asked him to come to Berlin immediately because in the meantime the situation had become serious. What made you consider the situation serious? Goering: Through the statements of the Fuehrer at the Obersalzberg on that 22d of August it was clear to me that the tension had reached its peak. The Fuehrer had stated that he would have to bring about a solution of the problem, if it were not possible to obtain one diplomatically. On that occasion, since it was simply an address, without discussion, before the higher officers of troop formations which would be used in case of war, I, as senior officer present, confined myself to saying to the Fuehrer at the end: "The Wehrmacht will do its duty." Of course it has to do its duty, if it is called upon. At the same time, however, I wanted to exert every effort in order to make as soon as possible--it was now a matter of days; a definite date, the 25th or 26th, as decided at first, had not yet been set on this day to make one more attempt at negotiations. I wanted to be able to say to the Fuehrer, if such negotiations were successfully underway, that there were still prospects of and chances for a diplomatic solution. Hence, the concurrence of events on the afternoon of the 22d: the Fuehrer's speech and my immediate reaction of sending for Dahlerus from Stockholm. I, of course, did not tell him, and I could not, of course, as a German, tell him, a foreigner--and especially not as an officer--that my reason lay in these factors which I have explained. Things are now being represented as if there could never have existed in Germany such an idea as "secret military matter," or "secret," or "top secret," in German politics and in military life at all; as though we were obligated to make known every military and political step to the foreign press in advance. I therefore point out that we, of course, had the same procedures as those adopted in every other country of the world. Dr. Stahmer: How was it that you handled the negotiations personally and that the negotiations were not handled through the Foreign Office? Goering: I was bent on having this question settled peacefully as far as it was at all possible. The work of the Foreign Office is official. Here we were working at it anyhow, and according to the guiding principles laid down by the Fuehrer. I could make my influence felt only in a way which was as direct as possible but not expressly official, because for official action I did not hold the official position of Minister for Foreign Affairs as far as foreign countries were concerned. And at this time it was clear to me that it was not a question of formalities, but rather a question of the most practical and the quickest way of accomplishing something. If I wanted to influence the Fuehrer, that was possible only if I had something in my hand, that is, if I could say to him: "On my own responsibility, but with your knowledge and without committing you and your Reich policy, I am conducting negotiations in order, circumstances permitting, to create an atmosphere which will facilitate official negotiations in the direction of a peaceful solution." In addition, it would be faster. Dr. Stahmer: This clear fact, that it was a personal step on your part that was being taken alongside official diplomatic negotiations--was that clear also to the British Government? Goering: It must have been clear from the entire action that this was a nonofficial negotiation which only at one or two points touched the official negotiations, or overlapped them. For instance, the phase where Ambassador Henderson, instead of returning immediately to Berlin, remained 1 or 2 days in London in order, first of all, through the unofficial negotiator, Dahlerus, to explain to the British Government the basis of these intentions, or for the negotiations, or to explain the note, as I shall call it; and when that had been done, the preparation for entering into these conferences was thereby considerably improved. And that not I alone was of the honest conviction on that day that a considerable step had been taken in the direction of a peaceful solution at that time--I believe it was the 28th--is demonstrated by the fact that the same view was held at the British Embassy at that moment, as the Embassy Councilor, Sir Ogilvie-Forbes, has very clearly stated. The situation did not become worse until the 29th. During all these negotiations it was not a question, as far as I was concerned, of isolating Poland and keeping England out of the matter, but rather it was a question, since the problem of the Corridor and Danzig had come up, of solving it peaceably, as far as possible along the lines of the Munich solution. That was my endeavor until the last moment. If it had been only a question of eliminating England from the matter, then, first of all, English diplomacy would surely have recognized that immediately--it certainly has enough training for that. However, it did, enter into these negotiations. And, secondly, I probably would have used entirely different tactics. It is not that I am reconstructing things in retrospect; I am speaking of what actually happened in those days, of what I thought and wanted. The descriptions given by the Witness Dahlerus today, and in his book regarding his talks with the Fuehrer, by no means represent the way these talks took place. His descriptions are rather subjective, for the Fuehrer probably would not long have been party to such talks. There are also other subjective interpretations in the book, which perhaps are purely unessential, but which have been brought forward by the Prosecutor, Sir David Maxwell-Fyfe, that I, in a theatrical fashion, had handed to two collaborators two swords so that they might accomplish bold actions with them. One of those who allegedly received a sword from me was my civilian State Secretary Korner, not a soldier. The most I could have given him was a pen, since he had to draft decrees for the Four-Year Plan. The second person was the chief of my office staff, a ministerial director, who also was no soldier and was not to earn any war laurels, but whose main task during the war was exclusively that of keeping my civilian, not my military, staff in order, and of insuring the functioning and progress of that work. For both these matters these gentlemen needed neither a sword nor any incitement to behave in a military way. Dr. Stahmer: Is it correct that it was first intended to undertake aggressive action against Poland on the 26th of August, and that this date was later postponed? Goering: It was provided that if by this time--official negotiations were being carried on before this, that must not be forgotten--if by then these negotiations had not led to a solution of the problem, as a consequence of the general mobilization of Poland and the deployment of troops which had likewise taken place, and as a consequence of very serious border incidents that had actually occurred I remind you of the bloody Sunday of Bromberg, of the more than 70,000 Germans who had fled, and of the Germans slain--in other words, the atmosphere at this time was such that the Fuehrer would have wanted to bring about a solution by means of war. The President: Yes, that was the question, and as far as I have heard there has been no answer to it yet. Dr. Stahmer: I did not understand that, Mr. President. The President: The question that you asked was whether the date of the 26th of August was arranged for the action to take place against Poland, and the Defendant Goering has been speaking for some considerable time and has not answered that question yet as far as I have heard. Goering: The question--my answer to this question was that actually the 26th of August was at first planned by the Fuehrer as the date for the invasion, since he considered this date necessary, in view of the situation that I have described. It was then possible, however, to persuade him once more to postpone this date, in order to carry on further negotiations. Dr. Stahmer: How is it to be explained that Hitler's proposal failed? Dr. Stahmer: The last proposal of 27 August, that Dahlerus delivered to London. Goering: This proposal was, of course, an unofficial one and was followed by an official proposal that was read to the British Ambassador in the form of a note; that is, the British Government was informed what demands Germany would make on Poland. This proposal was not entirely understood, and was then unofficially--but de facto--made known not only to the British Government but also, to the Polish Ambassador, exactly and precisely, in the unofficial way that Dahlerus has described. It came to naught because the Polish Government did not agree to discuss this proposal. First there was a prolongation for a plenipotentiary to be appointed--I believe until the 30th or the 31st; but nevertheless we waited even longer for a plenipotentiary. On the intimation that the Polish Ambassador might be this plenipotentiary, circumstances permitting, we waited for a conference with him; when he declared that he was not authorized to accept any terms, the Fuehrer decided on invasion the next day. This telegram I also sent to the British Ambassador via Dahlerus--the telegram of the Polish Government to their Ambassador, in which they forbade him, in a postscript, to conduct any negotiations regarding proposals, or to accept any proposal, or any note on the subject. I immediately gave Dahlerus the decoded telegram, which I received from the investigation office mentioned the day before yesterday, so that he could hand it to Henderson, and I told him in addition, despite any scruples I might have had, that, since it was a matter of extraordinary importance, the British Government should find out as quickly as possible how intransigent the Polish attitude was, so that it might, circumstances permitting, influence the Polish Government in the direction of a conference. I thus gave away the key, that is, I showed that we had the Polish diplomatic code key and thus spoiled for Germany a real and important source of information. This was a unique step, that I could justify only by my absolute wish and determination to avert the conflict at the last moment. As a particular secret instruction for the Ambassador, he is in addition informed that he should refrain from conducting official negotiations under any circumstances. In the event of oral or written proposals being made by the Reich Government, please state that you have no plenipotentiary powers to respond to or discuss them, and that you are empowered only to convey the above message to that Government and that you must have further instructions first. It is clearly seen from this that the Ambassador was not, as we had been told, authorized to do anything at all in the other direction, and this telegram, which the Fuehrer also read, probably indicated to him very clearly the hopelessness of arriving at an understanding with Poland. Dr. Stahmer: Were these negotiations begun and carried out by you with the earnest intention of maintaining peace? Goering: If one reads these writings in their context, that can be seen from this document; but I should not like to rely on the evidence of this book but on what I have to say here under oath. It was my firm determination to do everything to settle in a peaceful way this problem that had arisen. I did not want war; consequently I did everything I possibly could to avoid it. That has nothing to do with the preparations that I carried out as a matter of duty in my capacity as a high-ranking soldier. Dr. Stahmer: A matter was brought up here concerning a flying accident that might possibly have befallen Mr. Dahlerus. What about this remark? Goering: The witness Dahlerus said at the conclusion of his testimony that he must correct himself, that he had not received this absurd information from me, but that this was a conclusion of his because I had mentioned Ribbentrop's name shortly before in an entirely different connection. I had only one concern and that I indicated: Dahlerus flew in my own plane to London at that time; the tension was already very acute, and in all states mobilization and a threatened state of war had been proclaimed. Official air communications had been cut off long before. So it was possible that under certain circumstances a German plane flying to London with a courier or, vice versa, a British plane flying to Berlin at that time might incur danger from our anti-aircraft batteries or the like, and I wanted to obviate this danger as far as possible by telephoning Dutch and English authorities, as far as I remember. This was the only reason for my telling Dahlerus that I hoped he would arrive and return safely, because in those times an accident might easily have taken place. Herr von Ribbentrop knew nothing whatsoever about the fact that Dahlerus was being sent. 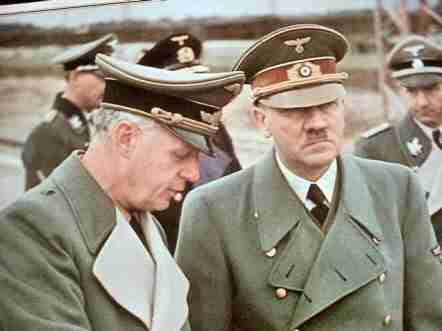 During the whole time I never discussed the matter of Dahlerus with Herr von Ribbentrop. Thus he did not know at all that he was flying, that he went back and forth between the British Government and me. All that is an absolute concoction. Dr. Stahmer: On 26 September 1939 were you present at the conference between Dahlerus and Hitler? Dr. Stahmer: What did Hitler say then about Poland? Goering: It is correct that he made statements to the effect that a restoration of Poland as she existed before the outbreak of war could no longer be considered after the course taken by the battle, but that he would now, of course, keep the old German provinces that had been taken in 1918. But even at that time he indicated that the Government General in Warsaw would not interest him and pointed out very emphatically to Dahlerus that this was a question which was to be settled chiefly and decisively by Germany and Russia, and that there could thus be no question of a unilateral settlement with England because the greater part of Poland was already occupied by Russia. And these were agreements that he could no longer make unilaterally with England. That was the gist of the Fuehrer's statements. Dr. Stahmer: I have no further questions. Mr. Justice Jackson: I call your attention to the testimony which you gave yesterday and ask you if it is correct. "I think I was Deputy Chairman"--referring to the Reich Defense Council--"I do not even know, I heard about that, but I assure you under my oath, that at no time and at no date did I participate in a single meeting when the Council for the Defense of the Reich was called together as such." Is that a correct transcription of your testimony? Goering: Yes, I said that in no single. Mr. Justice Jackson: That is all. That is all I asked you." 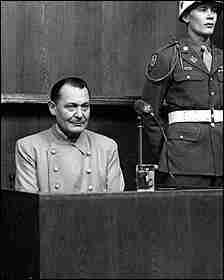 1946 Nuremberg Tribunal: On day 87, Hermann Goering's is cross-examination by the prosecution continues. Sir David Maxwell-Fyfe: I want to ask you two or three questions about the evidence that you gave 2 days ago, dealing with the evidence of your own witness, Herr Dahlerus, who made his first visit to London on the 25th of August 1939, after an interview and a telephone conversation with you on the 24th. I just want you to fix the date because it is sometimes difficult to remember what these dates are. At that time, you were anxious that he should persuade the British Government to arrange a meeting of plenipotentiaries who would deal with the questions of Danzig and the Corridor. Is that right? Sir David Maxwell-Fyfe: You knew perfectly well, did you not, that as far as the Fuehrer was concerned, Danzig and the Corridor was not the real matter that was operating in his mind at all. Will you let me remind you what he said on the 23rd of May: "Danzig is not the subject of the dispute at all; it is a question of expanding our living space in the East, of securing our food supplies, and of the settlement of the Baltic problem." You knew that, didn't you? Goering: I knew that he had said these things at that time, but I have already pointed out repeatedly that such discussions can only be assessed, if considered in conjunction with the whole political situation. At the moment of these negotiations with England, we were solely concerned with Danzig and the Corridor. Sir David Maxwell-Fyfe: Well, you say that despite what Hitler said on the 23rd of May, that at that moment Hitler was only concerned with Danzig and the Corridor? Do you say that seriously? Goering: I maintain in all seriousness that, in the situation as it was at that time, this was really the case. Otherwise it would be impossible to understand any of Hitler's acts. You might just as well take his book Mein Kampf as a basis and explain all his acts by it. Sir David Maxwell-Fyfe: I am interested in the last week of August at the moment I want you now just to remember two points on what you said, with regard to Dahlerus, during the morning of the 25th. Do you remember, you had a telephone conversation with him at 11:30 on the 24th? On the 25th, were you sufficiently in Hitler's confidence to know that he was going to proffer the note verbale to Sir Neville Henderson, the British Ambassador, on the 25th? Did you know that? Sir David Maxwell-Fyfe: At that time, when you were sending Dahlerus, and the note verbale was being given to the British Ambassador, the arrangement and order was that you were going to attack Poland on the morning of the 26th, wasn't it? Goering: There seems to be a disturbance on the line. Sir David Maxwell-Fyfe: You told me, Witness, that the arrangements to attack Poland on the morning of the 26th were changed on the evening of the 25th. Before I come to that, I will ask you one or two questions about that. Goering: No, I did not say that. Sir David Maxwell-Fyfe: Wait a minute. I am sorry, but that is what I understood you to say. Goering: No. I said explicitly that already on the 25th the attack for the morning of the 26th was cancelled. It is a technical and military impossibility to cancel a large-scale attack of a whole army the evening before an attack. The shortest time required would be from 24 hours to 48 hours. I expressly mentioned that on the 25th the situation was clear. Sir David Maxwell-Fyfe: At the time, you had asked Dahlerus to go to England on the 24th. It was still the plan that the attack would take place on the 26th. Was not your object in sending Dahlerus to have the British Government discussing their next move when the attack took place, in order to make it more difficult for the British Government? Goering: No, I want to emphasize that--and perhaps I should have the documents for the date--that when I sent Dahlerus at that time, and when at that moment Sir Neville had been handed a note on behalf of the Fuehrer, the attack for the 26th had been cancelled and postponed. On the day when England gave her official guarantee to Poland, it was 5:30 on 25 August, the Fuehrer called me on the telephone and told me he had stopped the planned invasion of Poland. I asked him then whether it was just temporary or for good. He said, 'No, I will have to see whether we can eliminate British intervention.' I asked him, 'Do you think that it will be definite within 4 or 5 days?'" Sir David Maxwell-Fyfe: That was what I was quoting to you. When the official guarantee was given, the treaty was signed at 5:30 on the evening of the 25th of August. I am putting your own words to you. It was after that that the Fuehrer telephoned you and told you the invasion was off. Do you wish to withdraw your statement that it was after the official guarantee was given to Poland? Goering: I emphasized once more--after we knew that the guarantee would be given. It must be clear to you too that if the signing took place at 5:30 p.m. on the 25th, the Fuehrer could know about it only shortly afterwards. Not till then would the Fuehrer have called a conference, and in that case an attack for the 26th could have been called off only during the night of the 25th to 26th. Every military expert must know that that is an absolute impossibility. I meant to say in my statement, "... when it was clear to the Fuehrer that a guarantee was given." I emphasize once more that I have not seen this record nor sworn to it. Sir David Maxwell-Fyfe: I admit that I do not know anything about that. I do not know whether you were still in Hitler's confidence at the time or not. But, wasn't it a fact that Signor Attolico came on the 25th and told Hitler that the Italian Army and Air Force were not ready for a campaign? Were you told that? Goering: Yes, of course I was told that. Sir David Maxwell-Fyfe: That was why the orders for the attack were cancelled on the 26th, wasn't it? Goering: No, that is absolutely wrong, because when the question of Italian assistance came up, the fact was that its value was doubted in many quarters. During the tension of the preceding days it became evident that the demands made by the Italians which could not be fulfilled by us were formulated order to keep Italy out of the war. The Fuehrer was convinced that England had only given such a clear-cut guarantee to Poland, because in the meantime the British Government had learned that it was not the intention of Italy to come into the war as a partner of the Axis. Sir David Maxwell-Fyfe: I will put to you your own account of what the Fuehrer said. "I will have to see whether we can eliminate British intervention." Isn't it correct that you tried, through Mr. Dahlerus, in every way, to try and eliminate British intervention? Goering: I have never denied that. It was my whole endeavor to avoid war with England. If it had been possible to avoid this war by coming to an agreement with Poland, then that would have been accepted. If the war with England could have been avoided in spite of a war with Poland, then that was my task also. This is clear from the fact that, even after the Polish campaign had started on 1 September 1939 I still made every attempt to avoid a war with England and to keep the war from spreading. Sir David Maxwell-Fyfe: In other words, what you were trying to do from the 25th onwards was to get England to try and agree and help the Reich in the return of Danzig and the Polish Corridor, wasn't that right? Goering: That, of course, is quite clearly expressed. Sir David Maxwell-Fyfe: Now, you remember the interview with Mr. Dahlerus. It was the interview in which you colored the portions on the map. I only want you to have it in your mind. If I say 11:30 on the 29th of August it will not mean anything to you. I want you to see it so that I can ask you one or two questions about it. You remember, at that time, that you were upset at the interview which had taken place when Hitler handed Henderson the German reply, and there had been the remark about the ultimatum. Do you remember that? Goering: Yes, of course I was upset, since that had suddenly completely disturbed my whole position. Sir David Maxwell-Fyfe: And is this correct? Mr. Dahlerus says on Page 72 of his book that you came out with a tirade, strong words against the Poles. Do you remember that he quotes you as saying: "Wir kennen die Polen"? Do you remember that? Goering: Yes, of course. You must consider the situation at the time. I had heard about the excesses and I would not go and tell Dahlerus, a neutral, that I considered Germany wholly guilty and the Poles completely innocent. It is correct that I did say that, but it arose out of a situation. Sir David Maxwell-Fyfe: Are you still an admirer of Bismarck? Goering: I admire Bismarck absolutely, but I have never said that I am a Bismarck. Sir David Maxwell-Fyfe: No, I am not suggesting that. I thought you might have in mind his remark about the Poles. Do you remember: "Haut doch die Polen, dass sie am Leben verzagen"? (Let us strike the Poles until they lose the courage to live.) Is that what was in your mind at the time? Goering: No, I had no such thoughts, still less because for years I had genuinely sought friendship with Poland. Goering: Yes, yes, I gave that explanation and I made it quite clear. Sir David Maxwell-Fyfe: Now, your explanation was that Herr Dahlerus was confusing your concern that his airplane should not be shot down in making his journey. That is putting your explanation fairly, isn't it? You are saying that Herr Dahlerus was confused. What you were saying was your concern that his airplane should not be shot down. Isn't that right? That is as I understood it. Goering: No, I think I have expressed it very clearly. Would you like me to give it again? I will repeat it. Dahlerus, who stood in the witness box here, used the words, "I must correct myself," when he was asked about Ribbentrop. I am quoting Dahlerus. He said, "I connected it with Ribbentrop, since shortly beforehand the name was mentioned in some other connection." Thereupon I explained I was really anxious lest something might happen. I explained that very clearly and I need not repeat it. Before leaving the Foreign Office, I telephoned Goering to confirm that I was leaving for Berlin by plane at 7:00 p.m. He seemed to think this was rather late. It would be dark and he was worried lest my plane be shot at by the British, or over German territory. He asked me to hold the line, and a minute later came back and gave me a concise description of the route the plane must follow over Germany to avoid being shot at. He also assured me that the anti-aircraft stations along our course would be informed that we were coming." What I am suggesting to you is that your explanation is wrong, that you have confused it with this earlier incident of which Mr. Dahlerus speaks, and that Mr. Dahlerus is perfectly accurate when he speaks about the second incident which occurred 2 days later. Goering: That is not at all contradictory. In regard to the first flight the position was that it was already dark, which means that the danger was considerably greater; and I again point out that, in connection with the second journey, preparedness for war in all countries had reached such a degree that flying was hazardous. I emphasize once more that I had to correct Dahlerus when he was questioned by my counsel, that I did not tell him that Ribbentrop had planned an attack against him. 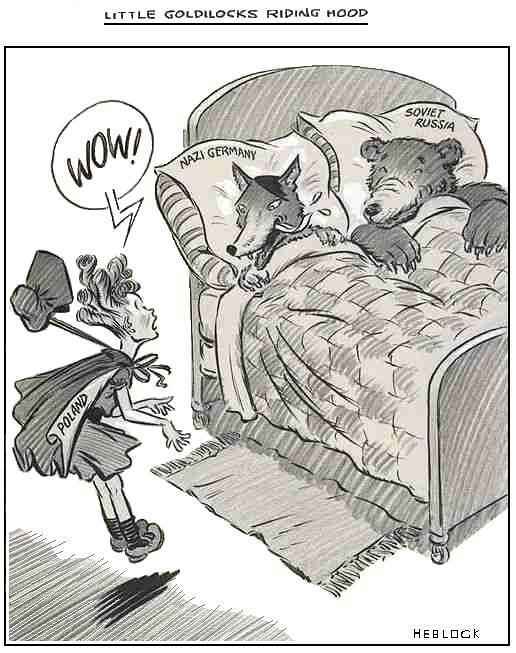 I emphasize for the last time that von Ribbentrop knew nothing about my negotiations with Dahlerus. Sir David Maxwell-Fyfe: Do you really say that? Do you remember that on the 29th of August--first of all, on the 28th of August, at 10:30 p.m., when Henderson and Hitler had an interview. That was before the difficulties arose. It was the interview when Hitler was considering direct negotiations with the Poles. He said, "We must summon Field Marshal Goering to discuss it with him." That is in our Blue Book, and as far as I know it has never been denied. You were summoned to the interview that Hitler and Ribbentrop were having with Sir Neville Henderson. Goering: No, I must interrupt you. The Fuehrer said, "We will have to fetch him," but I was not fetched and that is not said in the Blue Book either. During our conversation Goering described how he had been summoned to Hitler immediately after Henderson's departure, how Hitler, Goering, and Ribbentrop had discussed the conference that had taken place with Henderson, and how satisfied all three of them were with the result. In this connection Hitler had turned to Ribbentrop and said mockingly, 'Do you still believe that Dahlerus is a British agent?' Somewhat acidly Ribbentrop replied that perhaps it was not the case. You say that is not true, either? Goering: Herr Dahlerus is describing the events without having been present. From that description, too, it becomes clear that I arrived after Henderson had already left. The description is a little colorful. Ribbentrop had no idea what I was negotiating with Dahlerus about, and the Fuehrer did not inform him about these negotiations either. He merely knew that I used Dahlerus as a negotiator, and he was of course, opposed to him, because he, as Foreign Minister, was against any other channels being used. Sir David Maxwell-Fyfe: That was exactly the point, you know, that I put to you about 7 minutes ago, that Ribbentrop did know you were using Dahlerus, with which you disagreed. You now agree that he knew you were using Dahlerus, so I will leave it. Goering: No, I beg your pardon. I still say--please do not distort my words--that Ribbentrop did not know what I was negotiating with Dahlerus about, and that he had not even heard of it through the Fuehrer. Sir David Maxwell-Fyfe: You said "distort my words." I especially did not say to you that he knew what you were negotiating about. I said to you that he knew you were using Dahlerus, and that, you agree, is right. I limited it to that, didn't I? And that is right, isn't it? Goering: He did not know either that I was carrying on negotiations with England through Dahlerus at that time. He did not know about the flights either. Caution: As always, these excerpts from trial testimony should not necessarily be mistaken for fact. It should be kept in mind that they are the sometimes-desperate statements of hard-pressed defendants seeking to avoid culpability and shift responsibility from charges that, should they be found guilty, can possibly be punishable by death. Source Note: The trial portion of this material, which is available in its entirety at the outstanding Avalon and Nizkor sites, is being presented here in a catagorized form for ease of study and is not meant to supplant or replace these highly recommended sources. Fair Use Notice: This site--The Propagander!--may contain copyrighted material the use of which has not always been specifically authorized by the copyright owner. We are making such material available in our efforts to advance understanding of historical, political, human rights, economic, democracy, scientific, environmental, and social justice issues, etc. We believe this constitutes a "fair use" of any such copyrighted material as provided for in section 107 of the US Copyright Law. In accordance with Title 17 U.S.C. Section 107, the material on this site is distributed without profit to those who have expressed a prior interest in receiving the included information for research and educational purposes. If you wish to use copyrighted material from this site for purposes of your own that go beyond 'fair use', you must obtain permission from the copyright owner.